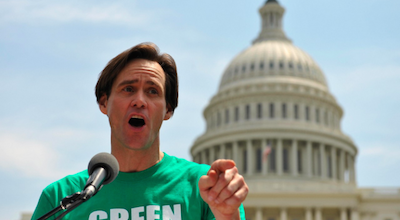 Jim Carrey Continues His Activism: Why Vaccines Should NOT Be Mandatory. In these pivotal times for the future of parental choice, children’s health and medical consent, many voices have come forward to say “no more” in their own way. When those in authority begin to target the children of society, the conscious among humanity have the duty to speak out. That has continued to be the case with Jim Carrey. While many people in Hollywood and the media would rather avoid the hot button topics of vaccine damage and parental rights, Carrey has boldly taken a stand for parents and their children. A longtime voice for autism, Carrey has been on the front lines of the vaccine debate for over a decade. See the report about Jim Carrey, the CDC and vaccines in the video below.